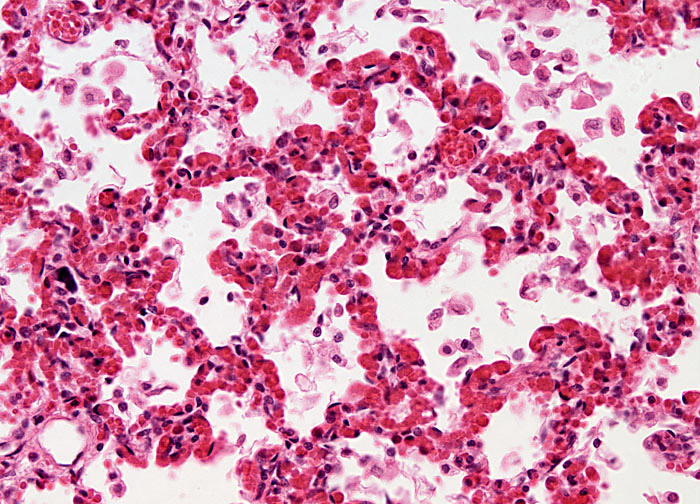 Viral pneumonias are believed to account for nearly half of all pneumonia cases and are usually considered less severe than bacterial varieties. They are most widespread during the winter months and sometimes begin as a common cold that progressively weakens and inflames the lungs. The viruses that can lead to pneumonia include respiratory syncytial, influenza, herpes simplex, and parainfluenza viruses, among others. Of these, influenza viruses tend to result in the most serious cases of pneumonia, epidemics of the illness occurring periodically in the past and causing significant mortality. Other varieties of viral pneumonia tend to clear up on their own over a relatively short period of time and do not involve any adverse after-effects.